I’ve been following the Xbox One press very closely over the last two days. Why would an Apple guy care about the Xbox One? Honestly, it’s because gaming on the Mac doesn’t compete with the console. I’ve never been a fan of the PlayStation controller, so I’ve been a die-hard Xbox guy since the first Xbox hit my doorstep in 2001. I’m not going to get into which console is better or why I don’t game on the Mac; I’m just going to cover the current state of turmoil in the console gaming business. We haven’t seen the new PlayStation, but we have heard enough about it to get an idea of its features. We have seen the new Xbox One; the Wii U is on the market now. None of these consoles blows away the competition. The PlayStation 4 looks to be the only console that comes close to gamer wishes. Hardware, software or backwards compatibility – all of them compromise the true purpose of a console: a great gaming experience. Microsoft and Sony are spending too much time trying to win the home entertainment industry with one box. Nintendo’s off living in its own little world trying to convince the rest of us that the Wii U is cool. If any of these companies actually spent time working on the gaming aspect of their new consoles, they would surely pull ahead of the pack. The gaming experience should be the most important aspect of any console. If Microsoft’s Xbox One had a live streaming TV service, if it were backwards compatible with Xbox 360 games, if I could play used games without paying an extra fee – it might be cool. Unfortunately, Microsoft built a console with too many ‘gotchas’ for some gamers… and it’s only the day after the reveal. I hope that Microsoft has some great news for us about the Xbox 360 at E3. Since it’s not being retired, maybe they’ll upgrade the hardware and make it the best gaming console on the market… without all of the bloat of the Xbox One. 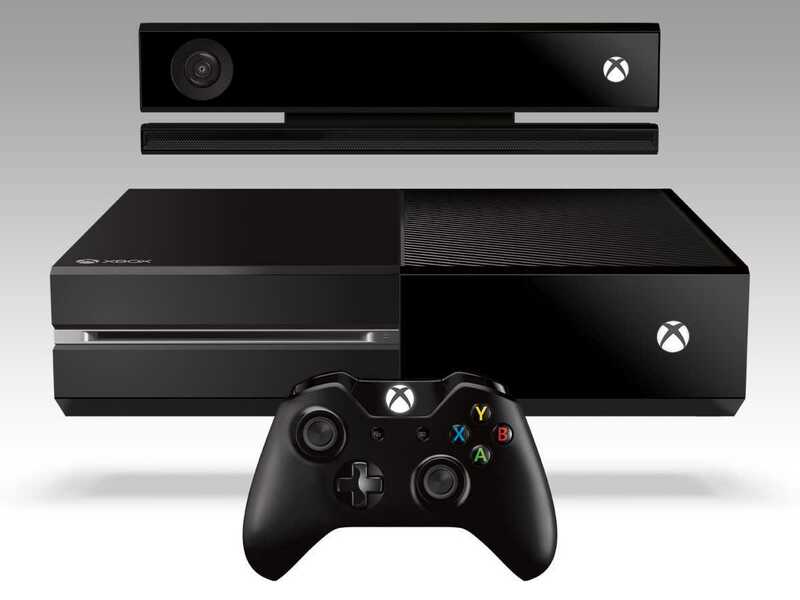 Microsoft is trying to cram two very different markets into the Xbox One. While some of the entertainment features seem cool, most of them look like smoke and mirrors at this point. I think it’s safe to say that none of them solve a problem… or even enhance our living room experience. I don’t think Microsoft put enough effort into the entertainment side of the Xbox One to really sell the user on the concept. I still need a cable box to play TV through an Xbox One. It’s possible that Microsoft couldn’t sell the networks on a TV streaming deal… but did they even try? Did they think that a TV pass through was good enough? I would’ve settled for CableCARD integration; that would at least get rid of an extra box in my entertainment center. Microsoft didn’t get the magic right with the Xbox One; Nintendo is off on it’s own with the Wii U; and Sony hasn’t shown us much of the new PlayStation 4. It’s impossible to really grasp what the living room will look like this Christmas… but I’m not very thrilled. That’s why this summer could prove very good for the consumer. Xbox One Shadowed by Valve and Apple? Assuming console gaming and living room entertainment remain two detached industries, I think we could see a huge step forward this summer. The two names giving us innovation: Valve and Apple. Valve will reveal the Steam Box, and people expect Apple to enhance living room entertainment. I don’t think Apple has enough of the game developer industry using their ecosystem to make an all-in-one living room box, but I’m sure some people would call me stupid for thinking that. Either way, here’s my take. Starting with Valve, we don’t know much about the Steam Box, but it will have access to the entire Steam Game Catalog on your choice of the Linux or Windows OS. We haven’t seen the hardware but we have seen a good preview of the software through Big Picture Mode. We also know that it will include biometric monitoring and multi-screen gameplay. It sounds great to me. Bundle that with Half-Life 3, and I’ll buy it on launch day. With Gabe Newell at the helm, I have high hopes for the Steam Box. Moving over to Apple, I hope that we may see something truly great from them this year. With Jony Ive taking over UI design from Scott Forstall, we could end up with software that looks as great as the hardware that runs it. While Apple has made the Apple TV a hobby, the living room market is ripe for new tech. The 2011 book Steve Jobs stated that Steve, himself, “… finally cracked it.” Given the standard incubation period of Apple tech, 2013 is the first we could see a new entertainment system come to life. With the pending iOS 7 reveal and Mac OS 10.9 showing up in server logs, Apple is extremely busy. I hope they gave each product the right level of attention. Unlike Microsoft, I don’t think that Apple has any plans to work with your cable box or to include a CableCARD for direct TV tuning. I think that Apple will use its weight in the market to push the TV, movie, and music industries into a new model that will change the living room, as we know it. Watch live TV, streamed directly to your Apple TV. Download old episodes on demand. Listen to an infinite catalog of music by paying a monthly fee. Watch movies on the release date by paying movie theater prices. Drop the 30-day limbo for movie rentals. Don’t overlook apps: a true SDK for the Apple TV would allow developers to port anything available for iOS to your TV. Granted, Apple would need to redefine content interaction because we can’t do all of that with the Apple Remote. I don’t think any of these ideas are too much to ask from Valve or Apple. If anyone has the power to disrupt the gaming industry, it’s Valve. If anyone has the power to disrupt the entertainment industry, it’s Apple. With the lackluster reception of the Xbox One, now is the perfect time to do it. Let’s hope that both companies can deliver stellar products and make our lives a little better.